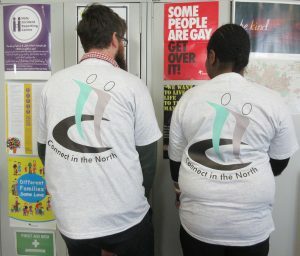 A group of people with learning disabilities and their supporters are organising a march for Learning Disability Pride this year. We are doing it at the Learning Disability Picnic at Temple Newsam on Friday 21st June. 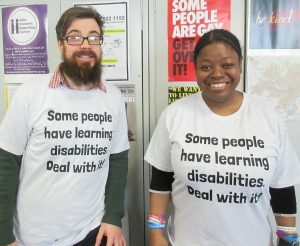 We are very excited that we now have tee shirts for the day – ‘Some people have learning disabilities. Deal with it. Contact Cathy or Sarah 0113 270 32 33 for more information.